A state law enforcement officer is facing DUI charges after crashing his state vehicle into a tree on I4 in Davenport, deputies say. 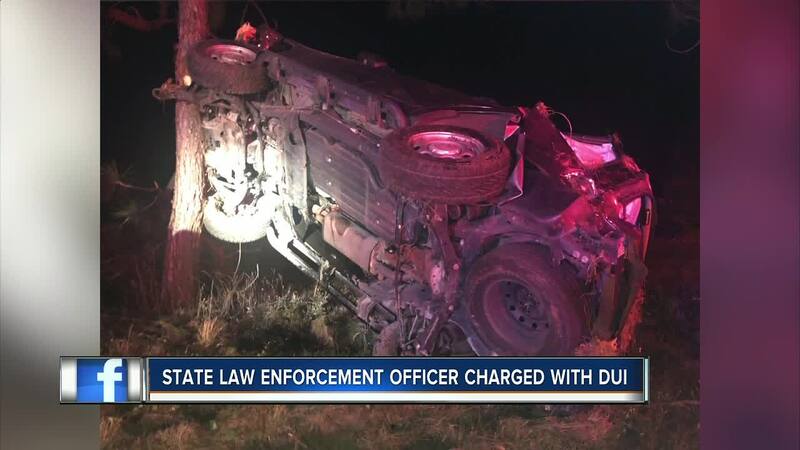 DAVENPORT, Fla. — A state law enforcement officer is facing DUI charges after crashing his state vehicle into a tree on I-4 in Davenport, deputies say. Deputies responded around 2 a.m. and found 37-year-old Kendrick Bridge's Ford Expedition rolled onto its side after hitting the tree. They say Bridges had bloodshot eyes, a strong odor of alcohol on his breath and his movements were slow to react. He refused to submit a breath sample, but deputies say his performance on field sobriety tests indicated that he was under the influence of alcohol and/or drugs. Bridges also refused transport to the hospital, but was later taken to Bartow Regional Health to be cleared after the accident. Bridges works at the Division of Investigative & Forensic Services Bureau of Fire, Arson, & Explosives Investigations in Lake Wales. He is currently in the Polk County Jail until his first appearance.